Transdimensional Neo-Elven vessel design focuses principally on stealth and speed, pushing the boundaries of construction practices by using organic crystal to craft components of unparalleled beauty. Their ships are powered by directly tapping the internode potential of a given point in space and time, which provides a difficult to maintain but nigh limitless source of power. With over a century of piracy under her belt, the Neo-Elf Captain Uxshenti is feared across the intragalactic shipping lanes; the very sight of her self-styled warship, Uxshenti's Wrath, strikes terror into the hearts of starfreight captains and insurance adjustors alike. With a hyper-efficient internodal drive, boasting output unprecedented even among neo-Elven ships, Captain Uxshenti enjoys great notoriety around Galvernun's End as the only captain to successfully execute simultaneous raids on sectors over twelve parsecs apart. 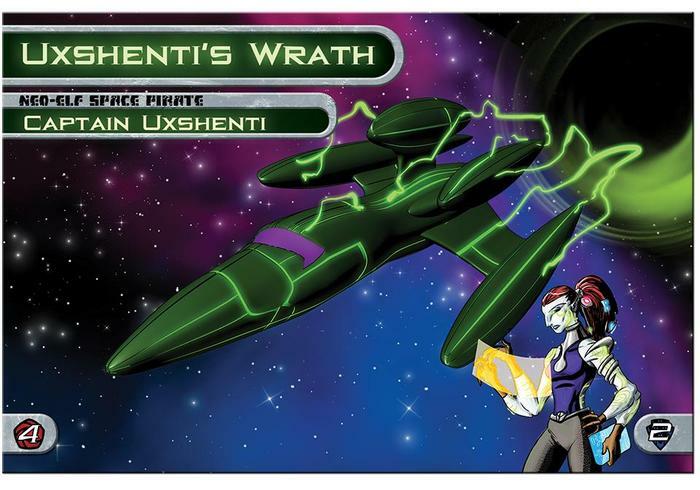 Uxshenti runs a tight ship of highly trained crew members, all fiercely loyal to their space-pirate leader. 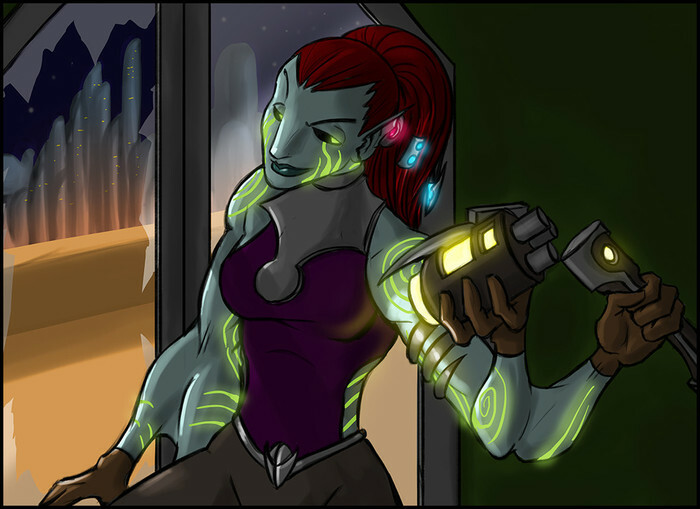 Her penchant for raiding other ships and stations has earned the crew a substantial share of credits, but Captain Uxshenti invests the vast majority of her plunder in acquiring and maintaining the most cutting edge and fanciest Neo-Elven technologies for her ship, making Uxshenti's Wrath as legendary as its captain.